Xia You Qian (Jasper Liu) is the total package. He’s good-looking, a highly successful head of a private equity company and well liked by everyone around him. Even competitors like Hu Yan Ze (Jet Chao) can’t help but respect him and wealthy socialites like Hu Yong Qing (Ivy Shao) are in love with him. But You Qian also has the keen ability to make accurate assessments about people at first sight using his strong observational skills. When You Qian and his grandfather are invited to Pu Lang village to judge a competition, he runs into An Xi (Mandy Wei), a woman who was responsible for You Qian nearly losing his life 10 years ago. An Xi is forced to enter the competition to try to earn the prize money to save her hostel, which she inherited from her father but is riddled with debt. After You Qian’s prejudice forces An Xi to lose the competition, will she be forced to marry her creditor to pay back her debts? It’s been a while since WISYA finished airing and it was such a lovely, heartwarming drama to watch from start to finish. Every episode was filled with fluff and that was what made watching it so easy. The cutesy is what basically held the drama. There is no denying that the drama lacked substance but there was enough lovely scenes going around to sustain the drama and that itself is not something that many dramas can manage. I like that it was all fluff, fluff and fluff, but that in many ways was what really let down the drama. The drama really lacked substance and that really showed through, particularly in these final last few epsiodes. The drama really fleshed out everything it could from the fluff during the first half of the drama and this half of the drama was not really left with much to work with. The drama tried to add in conflict to create that substance that it was lacking but the conflict didn’t really go anywhere and more than that it was not fully developed. In conclusion, the drama is not bad. 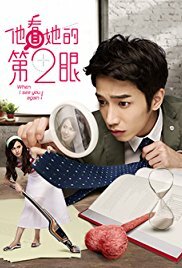 It won't be the BEST drama you have even seen but it's sweet and if you have time, give it a try.